The products are integrated in the Sysmac automation platform, launched in July 2011. This is a new EtherCAT-compatible modular I/O system that allows motion, standard I/O, and safety control to be integrated into machine control systems using NJ series machine automation controller. 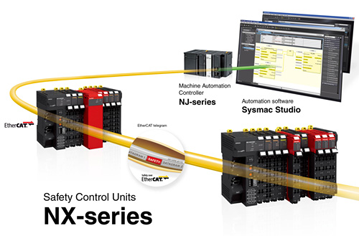 The NX series safety control units offer simple and flexible design for high-speed, high-precision motion control and safety control in an integrated engineering environment when used in conjunction with the NJ series machine automation controller and the automation software Sysmac Studio. This functionality contributes to productivity improvements and assurance of safety conforming to international standards and rules. 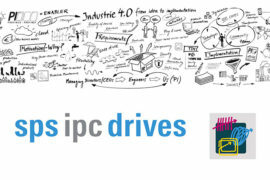 Machine designers are now required to design globally competitive production machinery, so they must design motion and safety control simultaneously, while increasing their knowledge of machine design in order to conform to international safety standards, resulting in a heavy workload. 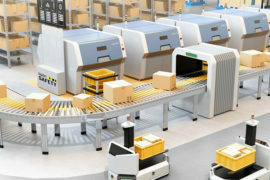 Moreover, it is expected that machine downtime can be minimized by reducing the amount of machine design work, safety verification work, and maintenance work. Omron’s new NX series safety control units were designed to meet these needs. The safety control units support Safety over EtherCAT*2 protocol. 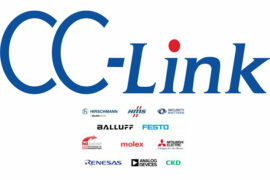 This support realizes One Connection, mixing safety control data and standard machine control data (included motion) in one EtherCAT network. EtherCAT slaves with the same modular design as the standard NX I/O units for sequence control allow flexible connection to all devices: safety CPU units, safety I/O units, and standard I/O units. This configuration simplifies flexible system design to meet variable end-user specifications. 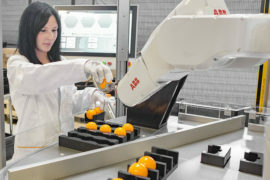 The safety input unit can be directly connected to safety sensors and safety switches which can detect workers in machine areas, and the safety output unit to servo drives and inverters with safety functions. 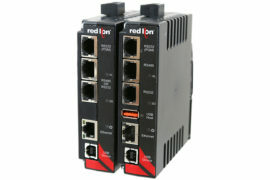 This connection reduces the work required for safety device selection and connectivity testing. If Omron’s safety devices are used for inputs, logic, and outputs, it is easy to evaluate the performance level (PL*3). The automation software Sysmac Studio now includes programming for safety control, which enables programming integrated with sequence and motion control. Previously, safety control had to be designed separately from sequence and motion control through the design cycles only for safety including design, verification, debugging, test operation, startup, improvement, and addition of functions. Now the Sysmac Studio enables the same operability and GUI*4 as those of sequence and machine control design to be used for safety control design, which simplifies the design process. The automation software Sysmac Studio supporting IEC 61131-3 programming language (function block diagram), as recommended by PLCopen, can be used all over the world. This usage drastically reduces the time required for designers to master design procedures and programming rules, and it simplifies the sharing of programs globally. Modular structures can be built up for each program when designing safety control. 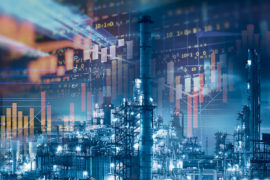 The modularized safety programs can be reused for other designs, and the amount of device verification work required for validation of the entire system can be reduced. Programming with variables is used for safety design. The global variables with easy-to-understand names help error free programming when designing complex interfaces among the control components such as I/O devices, motion devices, and safety devices. Unified troubleshooting in the automation software Sysmac Studio is now available for the safety units. Because safety system controls the power circuit for machine control, an error in safety system results in stopping production. Unified troubleshooting in the Sysmac studio provides the information required for maintenance: when, which unit, and why operation stopped, as well as how to resolve the error. This troubleshooting minimizes machine downtime. A safety I/O unit can be removed and added without a computer or a tool. Because the unit parameters are automatically set by the ACR*5 function, reduced system downtime contributes to improved productivity. The width of the safety I/O unit is 12 mm. The required width of the new unit is reduced by approximately 70% compared to Omron’s existing remote I/Os*6 for EtherCAT with terminal blocks, which reduces the size of the system and the control panel.